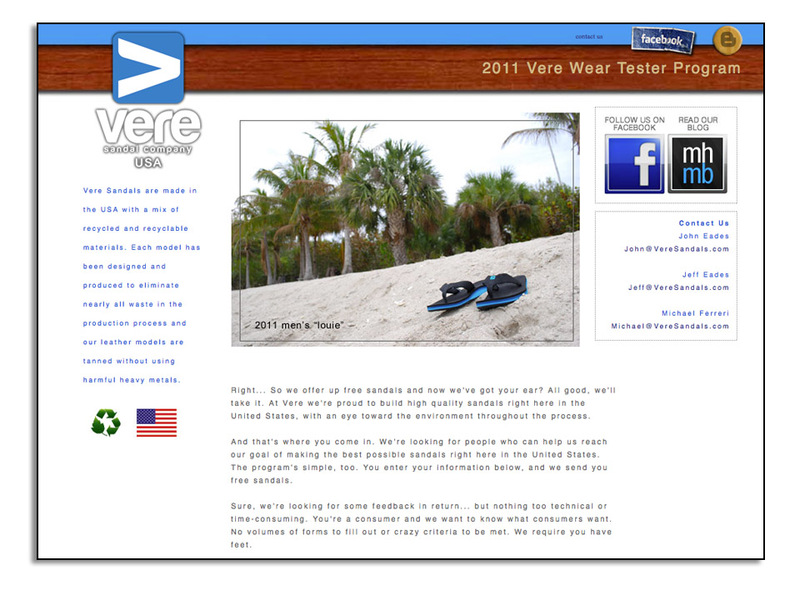 For those of you who may have missed it, on the day before St. Patrick’s Day we posted a link to our veretester program (http://www.veresandals.com/veretester) on our Facebook page. When we asked you to sign up (and if you haven’t, what are you waiting for? ), one of the requirements was that you tell us why you’d make a good veretester. Creativity, as always, was encouraged. Most of you think you have really, really good looking feet (One of you said something about someone offering you money to do something with your toes, but that seemed a little personal so we just skimmed that part). Some of you admit that your feet aren’t exactly catalog-ready, but think we should send you some free sandals anyway. A vast majority of respondents have big mouths. Some of you have kids, and chasing kids is a good test of sandals for a variety of reasons. Most of you wear sandals when there’s no snow on the ground, or whenever you think it’s warm enough. For one guy, that meant 60°. Wimp. In all, most of you who responded were excited about the opportunity to get a pair of sandals that was well made, had good arch support, would fit right, and you could feel good about. Being made in the USA, and being made in a manner that is easier on the environment registered with almost everyone - which seems about right. In all, we’re pleased to have so many responses, and so many people interested in helping out to make our sandals the best on the market. We’re planning to start making our samples in early summer, so stay tuned and wish us luck.